The last weekend of July saw the last Major playdown come to a close and four new faces added to Team B.C. for the Canadian Majors in Winnipeg. 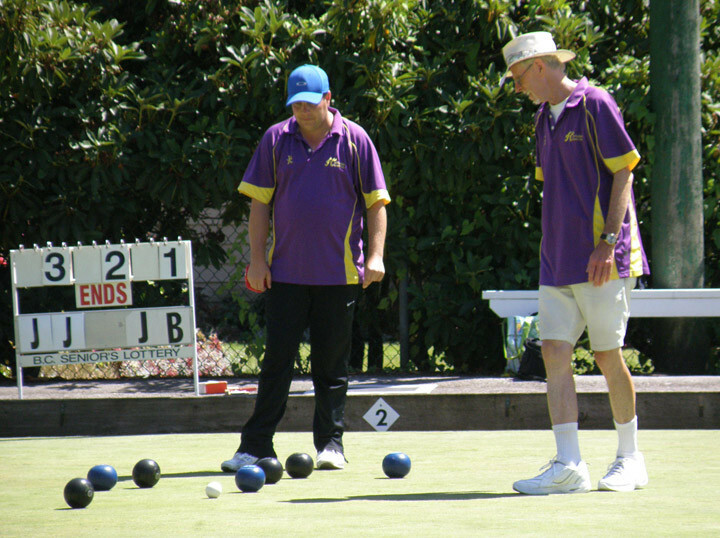 With 23 men’s teams and 21 women’s teams, it took 10 draws over three days of double knockout Bowls at the Men’s and Women’s Pairs Provincial Championship to figure it all out. On the Women’s side, Marie Taylor of the North Vancouver Lawn Bowling Club and Nancy Leung who bowls out of the host New Westminster LBC came back from the ‘B’ side to knock-off the North Van duo of Nancy Speers and Barb Gandy. The last end of the Women’s final was set-up to be a ‘doozy’, 19-18 for Taylor and Leung. Speers was able to cut the count from down two, to down one shot but then barely missed her last bowl and tying point. The Gold medalists, Taylor and Leung, were crowned with a final score of 20-18. The Women’s bronze medals were won by Pricilla Westlake and Robin Forrest, who led for the youngest member of the National Team. This was Pricilla’s third provincial medal of the year, as she added to her junior singles gold and singles silver. The Men’s Pairs was a bit of a cake walk for the eventual gold medalists, but the final would be a different story. Jamie MacGowan and Jon Braun, who already earned 2014 Fours silver medals, did not have to play the full 18-ends in any of their six matches leading up to the final, even scoring a perfect end on day one. On the other hand, their opponents, Jack Green and Barrie Brown, had several tight matches that came down to the last end and last shot. The Men’s final was like two separate games. Braun and MacGowan won the first half 19-5, but then the battle-tested duo from Kerrisdale LBC started grinding out the ends and scored 12 unanswered points all the way to the 18th end. Close, but not quite enough. 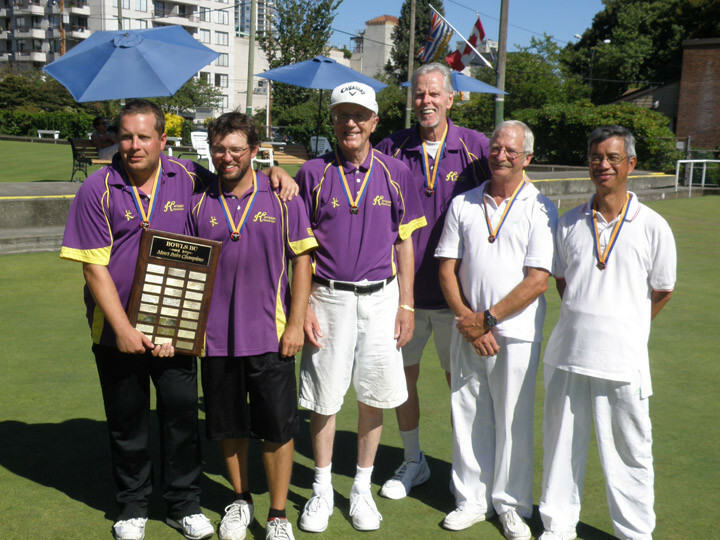 Of note: the men’s final involved three members of the Kerrisdale LBC, the first time that has happened in the club’s history. Gary Kirk and Peter Cheong picked up the bronze medal, despite finding themselves down 0-7 to Dave Baldwin and James Chen after two ends. So, these two teams join the BC team that will compete for our province at the Nationals, Aug. 17-23. The squad is a strong one, with only two of the 18 members playing in their first Majors, Leung and George Cubiss – who has played in the Senior Nationals. The upcoming weekend of Aug. 1-3 will be the Mixed Pairs playdown. 27 teams will be sweating it out in West Vancouver looking to book their trip to the Island as the national event is hosted by Parksville LBC.